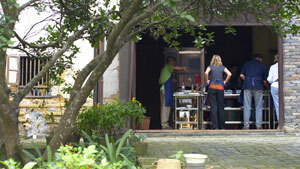 The Yangshuo Cooking School offers you the opportunity to learn how to cook real Chinese food in a traditional setting. our school is located in the village of Chao Long, about 5km from Yangshuo. Chao Long is a traditional farming village and the School is housed in a renovated mud brick farmers house. 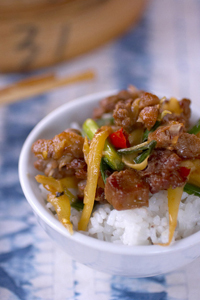 Cooking School in Yangshuo is a program for foreign visitors who would like to gain experience and insight into Guangxi local cuisine and culinary culture by taking classes at Yangshuo Chaolong cooking school . The school has been established since 2001,since then over thousands visitors from all around the world have been taking courses here and it has won a very good reputation from foreign learners. We have presented Private Classes, Small Group Instruction with maximum 14 participants and a week Intensive Course to passionate participants .